Updating a thrift store lamp! So I have been in nursing school for the past year and haven't posted anything since then. This makes me really sad...well it makes me more sad that I don't have much time to do very many projects, but that will come soon. 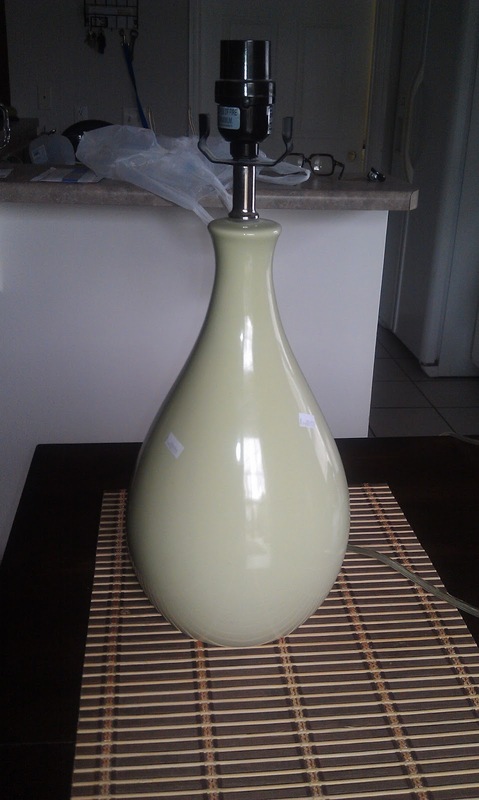 It's actually not a terrible color (mint green) but it wasn't what I was look for but I love the shape. I taped off the top and the cord where the meet the green and picked up a can of Heirloom white spray paint by Rust-oleum. 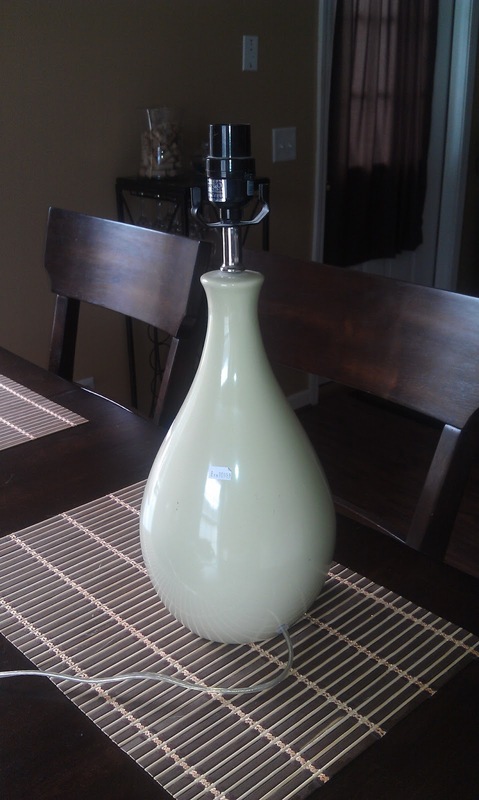 Gave it a couple of coats and ended up with this beauty! 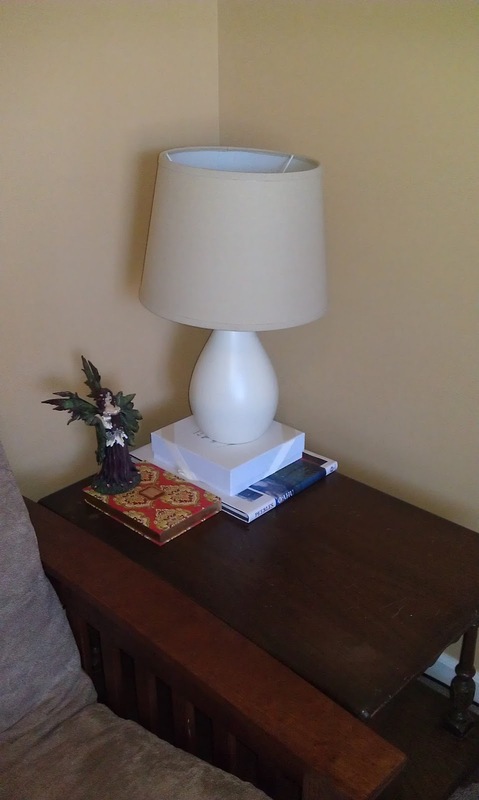 I got the lamp shade in the above picture from Target on sale but it lives on a different lamp in the living room. 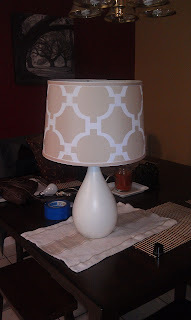 I found an inexpensive neutral lamp shade from Wal-mart that I really like as well. This can be seen in the picture below. The lamp lives in our guest/craft room on the Goodwill end table that needs repainting or staining (who knows when that will happen). I think it looks pretty good! 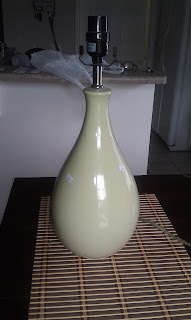 And you can do this to any interesting lamp base and make a beautiful custom lamp for any room!